Ho Ho Ho! Santa's stuck in the Chimney. 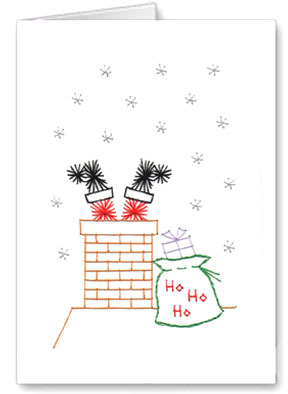 Spread some Christmas cheer and make your friends and family laugh with this humourous, festive Christmas card.